David Russell is a director and a property consultant at Harcourts Burnie. The Harcourts philosophy is what first attracted David to the company. Their professionalism and integrity is second to none. David had a diverse career path before deciding to come to Tasmania from Victoria in 1977. He was the manager of a hotel in Burnie for 10 years before finding his niche in real estate. David enjoys the challenge of this industry and finds it a good talking point as well. Dealing with people is another aspect that David enjoys about working in property. Each day offers new and exciting challenges and opportunities. Now in the real estate industry since the late 1990’s, David has a truckload of experience to bring to Harcourts Burnie. He has a proven track record in sales and is well known in the community and rural circles. David has been breeding stud Hereford cattle for years including champions at The Hereford National Show, Sydney Royal Show, Melbourne Royal Show and Tasmanian shows. Choosing the right agent is important when buying and selling and David believes that you must choose an agent that you feel comfortable with. David is a keen home renovator and relates well to both buyers and investors alike as he well understands the process, both emotional and financial, that is involved in making people’s dreams come true. Andrew joined Harcourts Burnie in April 2010. The profile, professionalism and up to date systems is what first attracted Andrew as well as the Harcourts philosophy and integrity. Andrew embraced the chance to become master of his own destiny. Andrew has a wealth of experience in the real estate industry having been involved since 2001 and selling close to 400 properties in that time. Andrew has a real passion for real estate and loves what he does. This passion is reflected in his impressive sales record. Andrew is a bricklayer by trade so it could be said that he has been involved with property all his working life. Andrew has also been down the renovating track so can relate to anyone who is looking to build, buy, renovate or who are looking to purchase an investment property. If you are after experience, knowledge of the industry and want exceptional service, then give Andrew a call today. He will make the experience an enjoyable one. 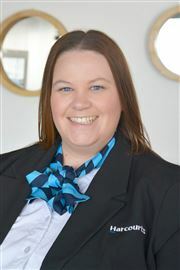 Bek began working in real estate in August 2011. 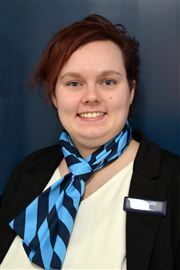 Starting off in Administration, Bek has worked hard and has now taken on the role of Property Portfolio Manager. Real estate has been a part of Bek’s family for many years, which has taught her many things such as the value of clear communication, honesty, good ethics and a professional approach. 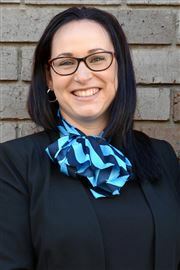 Bek believes, being in property management, there is a great sense of responsibility to the clients who entrust their most valuable assets to her care. She will ensure you receive the highest level of service possible every time. 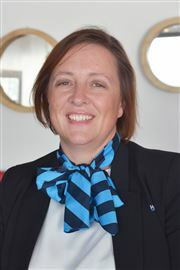 In all her actions Bek endeavours to enhance both the landlords and tenants experience in choosing Harcourts Burnie and ensure all potential tenants enjoy a seamless experience when searching for a home. 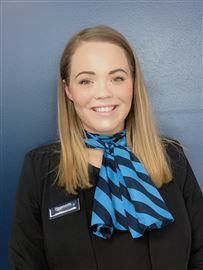 Mikaela joined the Harcourts Burnie team after several years industry experience with another local agency working as a receptionist, assistant property manager and portfolio property manager. 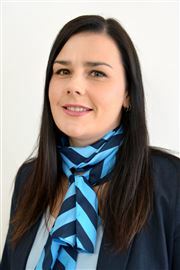 As your dedicated property manager, Mikaela will be happy to assist you regarding any aspect of your investment property from statements, maintenance, and lease renewals through to general updates and will strive to create and maintain a long term business relationship. Mikaela’s computer skills, extra attention to detail, knowledge of the local area along with her effective communication skills are some of her strongest assets. 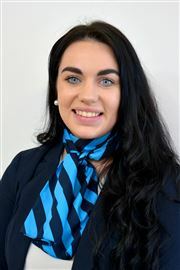 We are confident her skill set will ensure she adheres to our company standards and core values which will provide satisfaction for both landlords and tenants. Sarah began her career in Property Management in 2006 and specialises in all areas including Residential, Commercial and Strata. 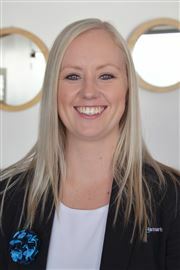 After working in Western Australia for 12 months, for a family owned real estate agency in Perth, Sarah returned to Tasmania and began working for Harcourts Burnie in mid 2011. Sarah loves being part of such a successful team and works hard to make it even more so. 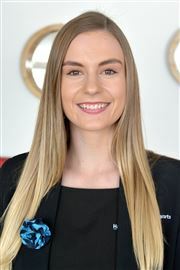 Joining the team early 2018 is Marlee, who changed careers from hospitality to real estate in our Burnie office. Having been in customer service roles from a very young age, Marlee brings to our team a passion for being of service to everyone in her path. 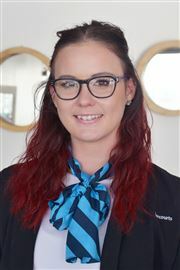 Marlee began at Harcourts Burnie as our receptionist and has since made her way to Marketing Manager, looking after the marketing of sale properties amongst other things. Marlee would be happy to help with any query you may have. 5 Acres close to Town! Refurbished & ready to go! Cheapie with great sea views! Investors / First Home Buyers! Why buy when you can build? Renovated + Ready to Go! Bush & Sea.... Be Captivated! An outlook to be envious of! Stylish Home Price to Sell! Reduced to Sell! Be quick! Character home close to CBD! Country home has to go! Two Houses on the one title! I dont know where you'd start! "Enjoy the Space or Develop"
Executive Home On 2 Acres ! "Put Your Own Touch On It"
"3 Bedrooms Plus Granny Flat"